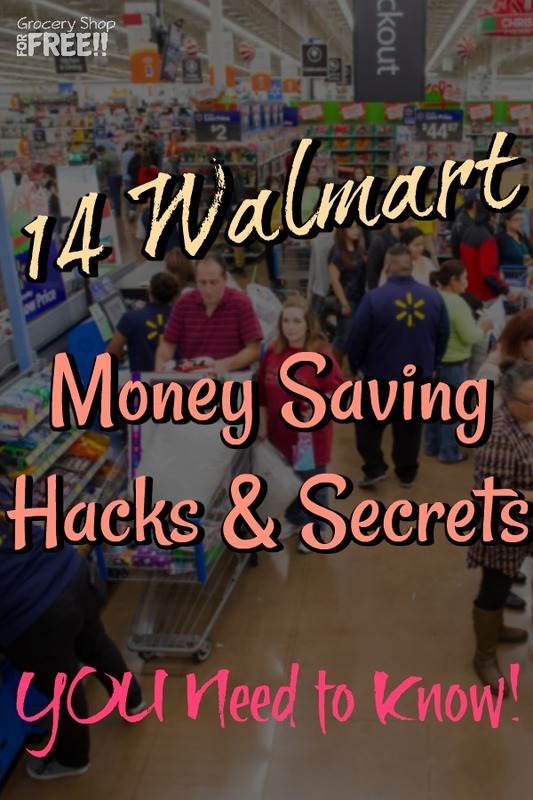 You are here: Home / Finance / 14 Walmart Money-Saving Hacks And Secrets You Need to Know! Walmart is known for their low prices, huge inventories, clearance items, and rollback discounts. Shopping in at Walmart is beneficial if saving money is your primary goal. Walmart carries anything from groceries to clothing and so much more — not to mention amazing deals on electronics and children’s toys! If you love shopping at Walmart, you already know that you are getting good deals. But, did you know that you can save even more at Walmart? Here are 14 strategies to make sure that you are getting the best deals and to save you even more money at Walmart. We can’t start anywhere else but with their own Savings Catcher, which is now incorporated in the Walmart app, no need anymore for 2 separate apps. When saving money at any store it’s important to compare prices. You wouldn’t buy a car or home without comparing prices, why would you do it with your groceries or clothes or anything else you can purchase at Walmart? Walmart makes that part super simple. You don’t need to check out the other stores prices, Walmart does it for you! You can still take advantage of Walmart’s price match policy by using their app. Just scan your receipt barcode with the app, and you can sit back and wait for Walmart to compare the prices for you. If any of the items you bought are advertised for less in your area, Walmart will give you the difference in an eGift Card that you can use at Walmart. I love to use these, my Ibotta earnings, and other apps earnings for holidays and birthdays, so, I save them all up. By taking a photo of your receipt, you can enjoy rebates from Ibotta! Before you head to the store, check the items on your shopping list within the Ibotta app. Once you get home, you can snap a photo of your receipt and scan the item’s barcode. That’s it! You’ll get cashback that you can request to be deposited in your Paypal account, Venmo, or choose from gift cards. Ibotta is FREE to download. The bigger your team, the faster you earn. Sign up using Facebook and your friends will automatically join your team. The more friends on your team, the easier it is to earn your Teamwork bonuses, each and every month. Get extra cash back with Bonuses – a fun and easy way to pile on the earnings. Buy featured products, redeem items at specific retailers, or complete certain tasks, and you’ll earn Bonuses. We’re adding them all the time so check the Bonus section of your app for details! You’ll also get rewarded when you get friends and family to sign up using your referral code. If you are not using any rewards card whenever you shop at Walmart, you are giving away FREE money. Here’s another option you can use: the Chase Freedom Unlimited Card. It helps you earn 1.5% cash back on all your purchases at Walmart! Plus, if you spend at least $500 in the first three months from card opening, you can enjoy a $150 bonus! The good thing about the Chase Freedom Unlimited Card is that there’s no annual fee and your rewards. Also your cash back rewards don’t expire. I know your email box can need taming like a lion at times, but, it’s important to actually open and at least scan them, if you don’t you could be missing out! By using Paribus, you can get your money back for your online purchases. It’s FREE to sign up! It scans your emails for any online purchases. Once Paribus discovers something you purchased from Walmart (or any of it’s other qualifying stores), it will track the item’s price and if there’s a price drop, it will apply for a refund for you. How much more simple can it get? I love all these ways to save and make money without having to do anything! As a Drop user, all you need to do is to link your debit or credit cards to your Drop account. Once you make a Drop-qualified purchase, you automatically earn points! Whether you’re buying items at Walmart taking an Uber. These points can add up and you can exchange them for a gift card from Starbucks or Amazon! So simple! Head to Walmart’s bakery and find day-old bread for less than $1. This is an affordable way you can enjoy bread without the hefty price tag. Most of the time, the shipping costs can eat up all the savings that you are accumulating by shopping online. Deal bloggers often say: “The shipping killed the deal.” Meaning it was a good deal until you tack on the shipping cost, then the deal is dead. But, with Walmart.com, you can enjoy FREE shipping in two ways. If you spend $50 or more, Walmart will ship your items for FREE! If you spend less than $50, you also have the option to have it shipped to your local store. There are many items that you can pick up the same day when you order online. To get the most out of your bargain-shopping trips to Walmart, you can just walk around the store and earn points with no purchases needed! The Shopkick App lets you earn points by just walking in any Walmart store (they have a ton of other qualifying stores, too). You can redeem the kicks for a gift card from different retailers like Amazon, Starbucks, and Sephora. Plus, if you upload photos of your receipts with any qualifying items, you can earn even more points! You can also earn kicks for online purchases, too! Sign up now by downloading the app and use my code: EARN310035 to get 250 kicks when you get your first walk-in or scan within 7 days! Once you do, then you’ll be able to invite friends and family and earn each time they do the same. Murphy USA Gas Stations offer deals on their gas prices all throughout the year. You can enjoy special savings when you pay using your Walmart credit card, Walmart Mastercard, or Walmart gift card, too! Whenever you’re at Walmart, be sure to check out the clearance racks, they often have AWESOME eals. I have found kids clothing for as low as $0.50! Most of the deeply discounted items are placed near the garden department or toys aisle. Make it a practice to check the end caps on the aisles throughout the store to score heavily discounted items. For new parents or parents-to-be, you can get this deal from Walmart: They offer a FREE baby welcome box! This welcome box is packed with product samples, whne it comes to a new baby every little bit helps, for sure! And the best part? The shipping is FREE! Once a week your store will move meat to a special area I call “the cheap meat section”. Find out when that happens at your store, ask the butcher, and shop that day, usually in the morning. Stock up on good deals you know your family will eat and then freeze them. Sometimes we can get a month’s worth very inexpensively by checking that section and stocking up! You might already aware that Walmart offers select prescriptions for just $4 a month. Plus, depending on your prescription, you may have it delivered straight to your doorsteps with a service called Phil. Once you sign up, Phil contacts your doctor, pharmacy or insurance company and handles the rest! Every month, your prescriptions will be delivered to your doorsteps for FREE, saving you gas, money, and time. Before you buy something at your local store, you might be able to save more when you check your mobile device for better prices at Walmart.com by using the website’s search function. If you find better prices online, Walmart will match its price with your in-store purchase! Just pull up your phone and show the cashier — they will give you the better price with no hassle! 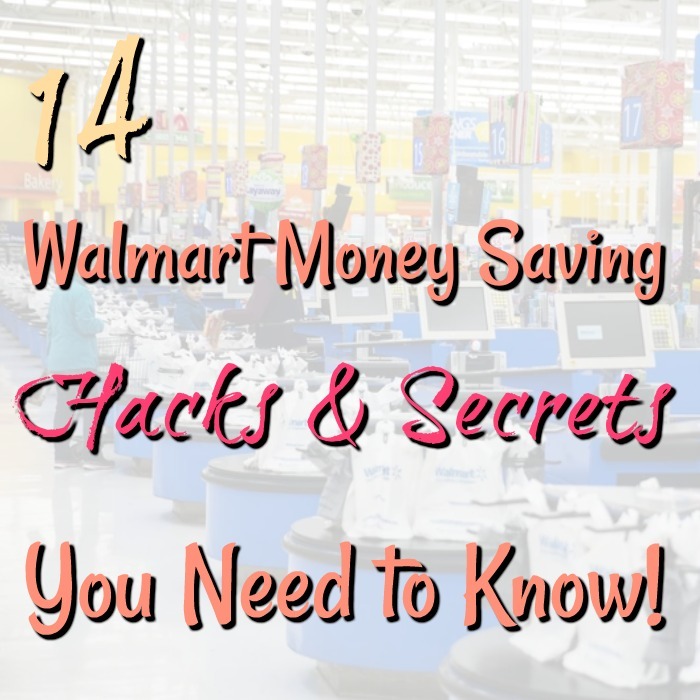 Did I miss any Walmart Money Saving Secrets? If you know of one I missed be sure to leave a comment below so we can all benefit!